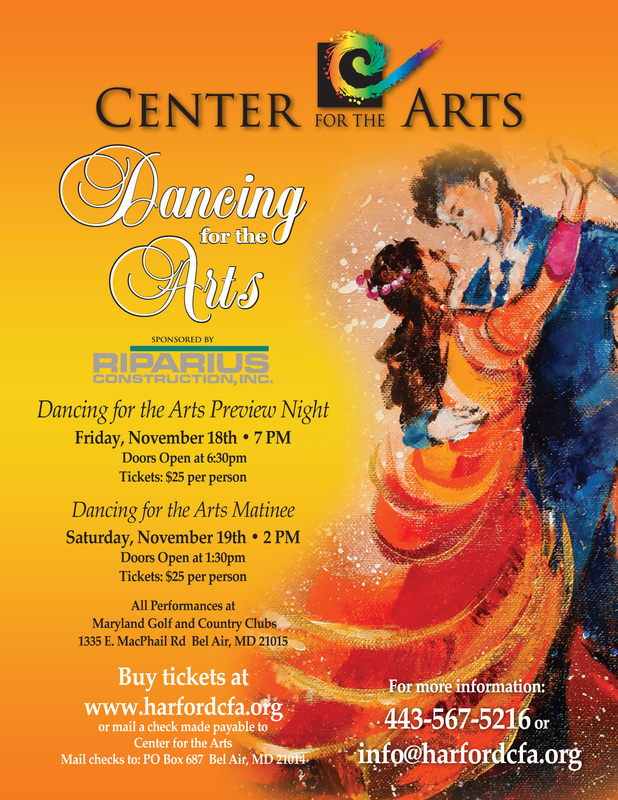 The Maryland Center for the Arts' Dancing for the Arts is an annual fundraising event to raise funds for MDCFA' s general operations, programs, and capital project to build a visual and performing arts center in Harford County, MD. The 2016 Dancing for the Arts features "Celebrity Dancers" in a ballroom dancing competition. Each celebrity dancer has a fundraising goal for the Maryland Center for the Arts, and by clicking on their fundraising page, you will see how much they have raised to date, through donations, raffle ticket sales, performance ticket sales, event sponsorships, and program ads. The Maryland Center for the Arts has been gifted 41 acres by the Estate of Emily Bayless Graham to build a visual and performing arts center between Route 24, Wheel Rd, and South Tollgate Rd in Bel Air. Construction on the site has begun, with a paved parking lot, walking trails, and an outdoor classroom. The first building phase of the visual and performing arts center will be an amphitheater to provide performance and conference space for the community. Stay tuned on progress updates by following us on social media and visiting our website.